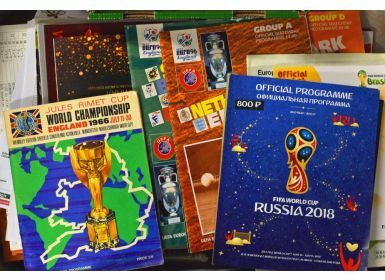 World Cup/European Championships match programmes from 1966 in England to 2018 Russia - includes colour team sheets, menus, brochures. 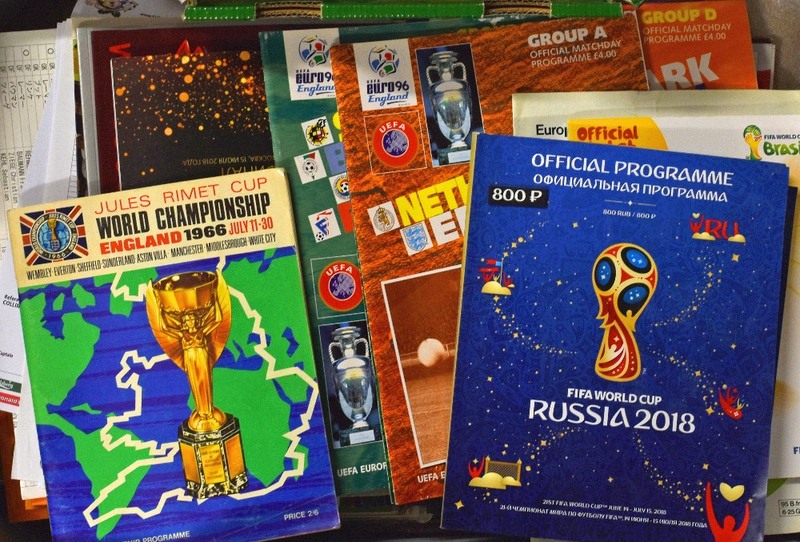 (1 large box of quantity). Worth a view.